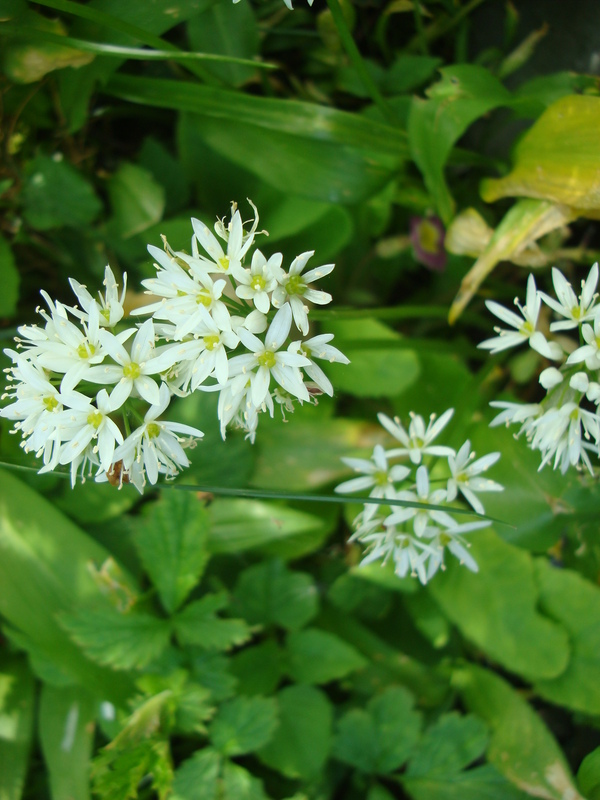 First time round we substituted wild garlic for mixed leaves as it was still running riot in our garden. On Saturday we went for early lettuce (which is just as good) as the wild garlic has just about finished and all that remains are the flowers, tiny white balls of petals which still give a big garlicky kick, but with added attractiveness. 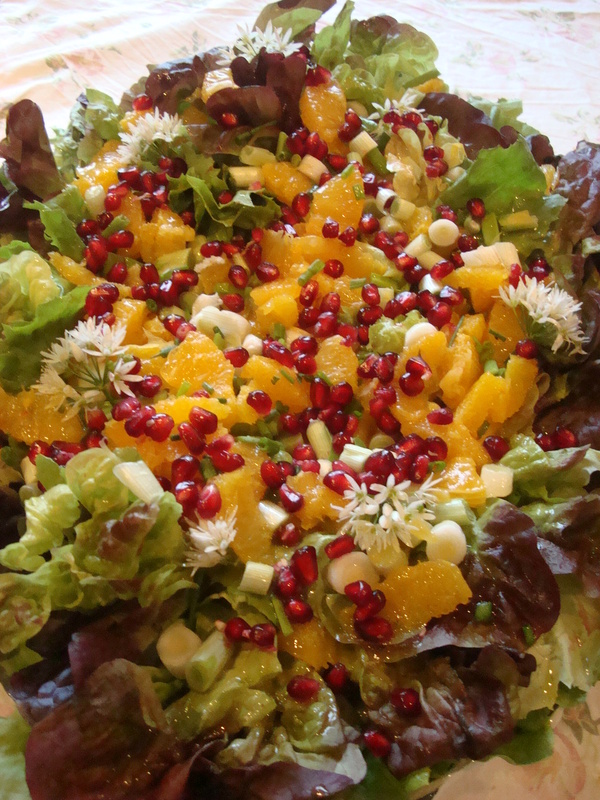 This is a perfect spring or summer salad and now that we finally have a little bit of sun it makes an ideal healthy lunch or barbecue accompaniment. a simple dressing made from juice of half a lemon, olive oil and salt and pepper. Put into a screw top jar and shake well. Season with salt and pepper to taste. Lay the leaves on a large platter or serving dish. To de-segment an orange use a sharp knife and cut off the top and the bottom. Place on a chopping board and hold firmly. Cut down each side of the orange removing the skin and as much of the pith as you can. You don’t want any skin or pith in the salad as it will make it bitter. Cut each segment from the skin that holds it in place holding it over a bowl so you catch the juice. 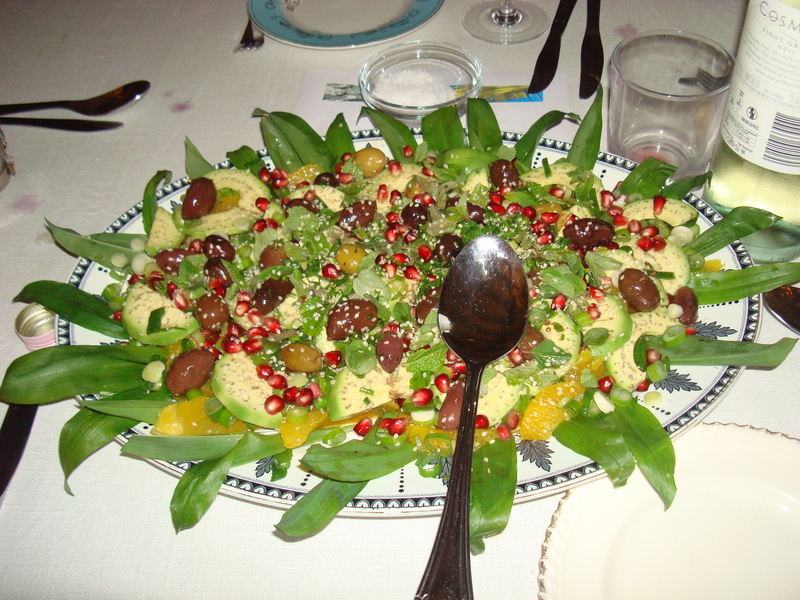 Toss the segments over the mixed leaves. Then simply scatter over the rest of the ingredients, only adding the sesame seeds (if using) at the last-minute before serving. You can also add a couple of peeled and sliced avocado’s.